Hey there friends, I hope you all had a great weekend! Mine was super productive and I finally got around to shooting my fall apartment decor. You can find my fall apartment decor from last year HERE. Perfect timing actually because I’m about to take it all down and start decorating for Christmas! WOOHOO (never too early right)?! 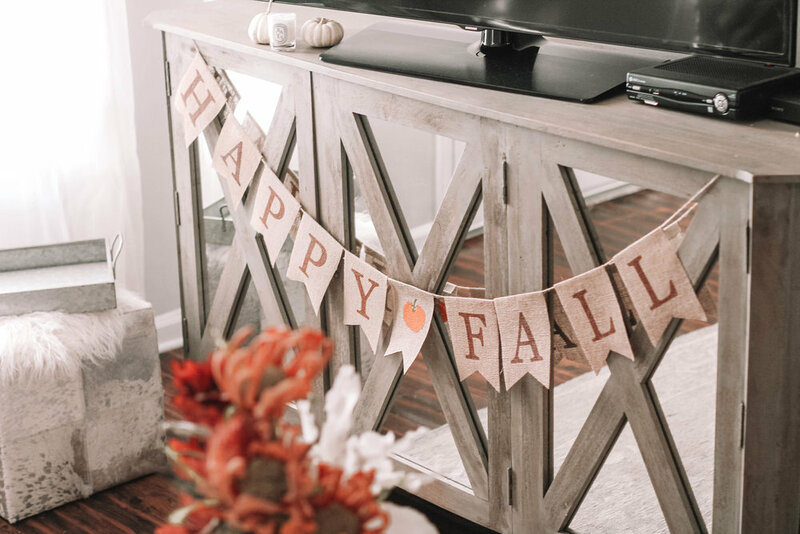 This fall I added some festive touches to my apartment that were simple and easy to incorporate. 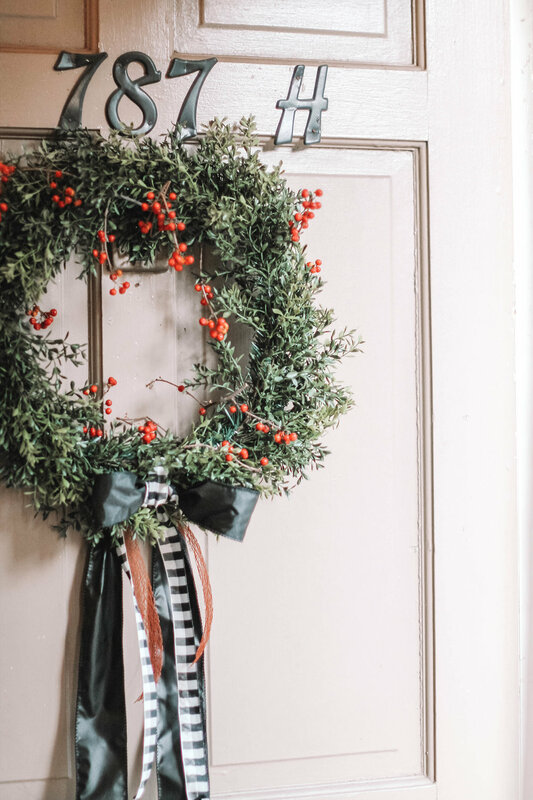 Making your home decor festive and seasonal doesn’t have to be challenging or expensive. Simply changing around a few things can really make a huge difference. 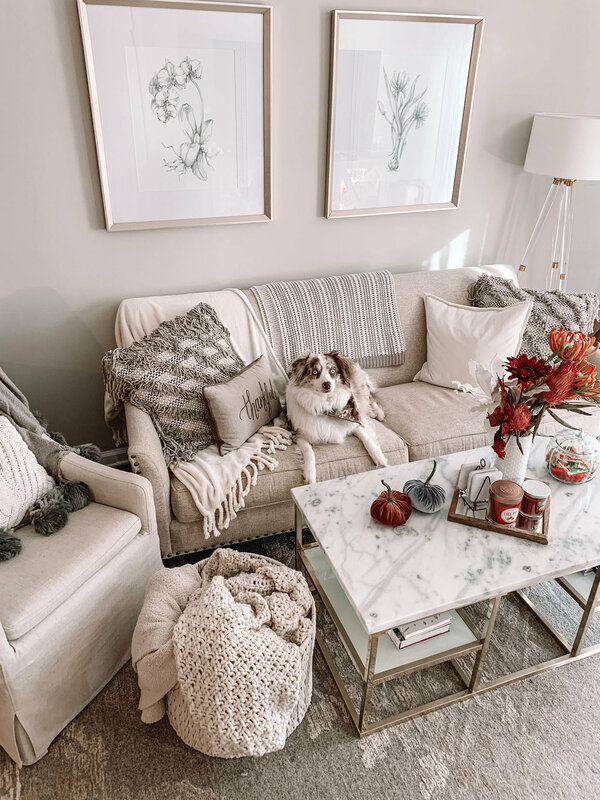 The first thing I like to do when decorating for a new season is to swap out the throw pillows on my couch- I found this adorable “thankful” pillow and this white cable knit pillow at Target recently. I love these because I can honestly see myself using them year-round. Something else I always do is to trade out my regular candles for seasonal scents. I found the most amazing smelling fall candle this season, you can find it here. 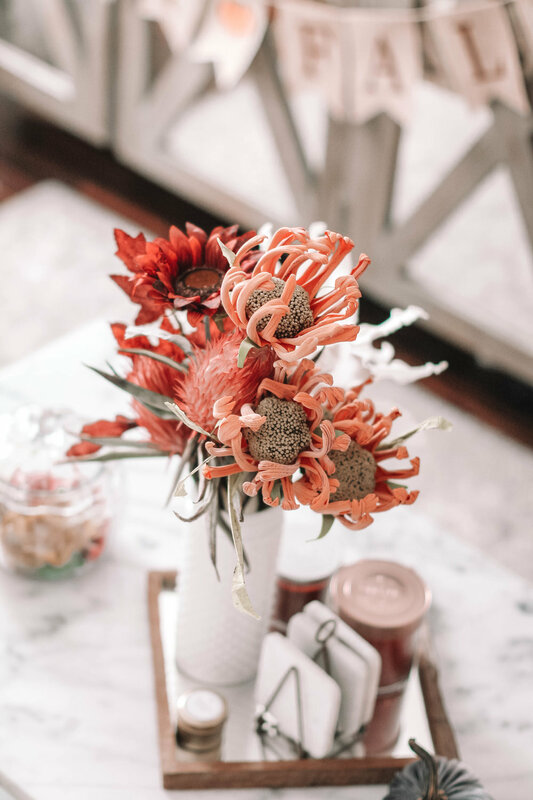 My final decorating tip is to change out your tablescape. I switched out my spring flower arrangement center piece for cotton and swapped out my regular bowls/plates for adorable pumpkin ones I found at Home Goods that were such a steal. 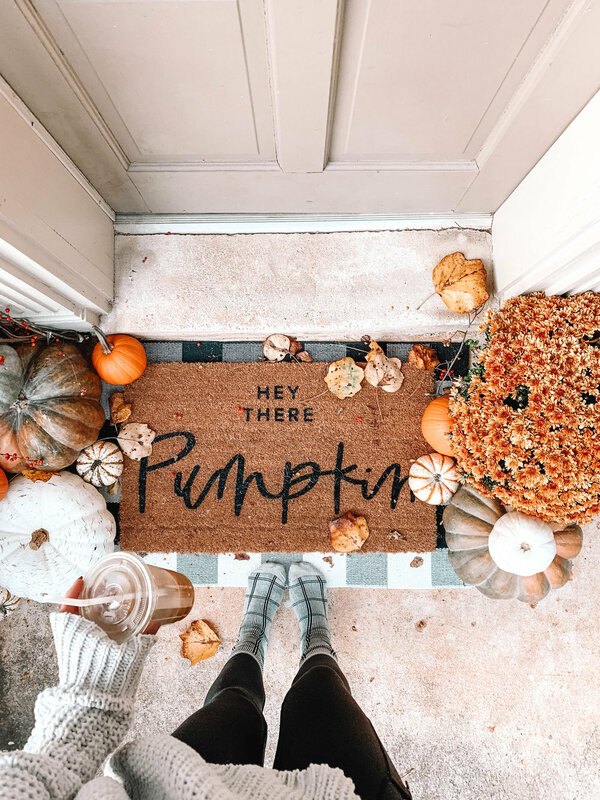 In addition, incorporating pumpkins into your decor is always an easy way to add all the autumn feels to your home. I found the most amazing velvet pumpkins this year that I plan on using for years to come. 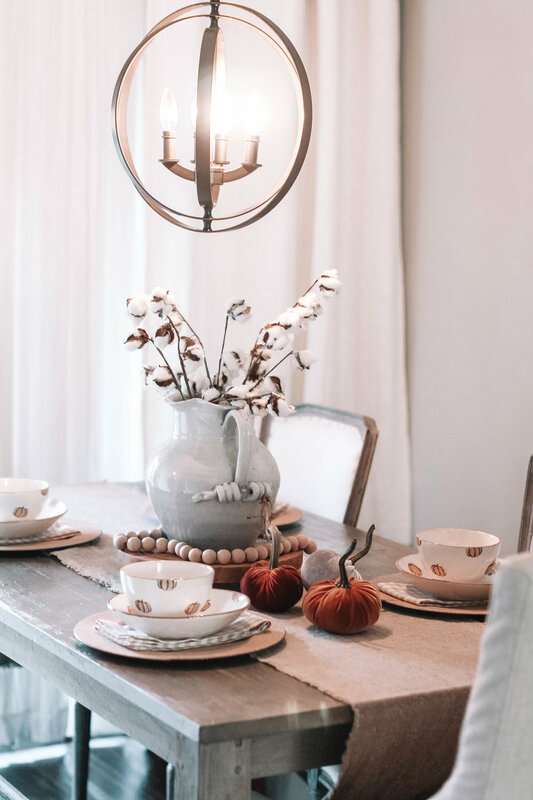 I hope this helps get you inspired and motivated to change up your decor seasonally- It’s always so much fun and really gets me in the spirit of the season!! I’ll link all my decor at the end of this post- Scroll all the way to the bottom!